Sun, sand and spectacular weather make Florida the perfect place to own a timeshare. Florida boasts the ideal combination of tropical weather, beautiful beaches and exotic surroundings while remaining extremely accessible. It has the wonderful weather and beautiful beaches of a tropical island without the leg-cramping flights. So just where should you own a timeshare in Florida? So many clients ask us this question! Consequently, here we are to discuss some of the most ideal locations. In contrast to popular belief, Disney World isn’t just for kids anymore. Adults can have a great time, too! Universal Orlando, Disney World, Medieval Times and all the best theme parks are a short distance from timeshare properties in Orlando. Take your family to this theme-park capital while enjoying the comfort, amenities, and freedom of staying in a condo. Forget about nightly hotel rates and freeze your accommodation prices today. This is what timeshare gives you! Spend a week in a beautiful Orlando timeshare property. Look for vacation clubs in Kissimmee, Lake Buena Vista, and other Orlando suburbs. Captiva Island, in the Gulf of Mexico, is a spectacular timeshare destination. This exclusive island is predominantly private homeowners. However, there are quite a few luxurious timeshare units available. Cars must arrive via the Sanibel Causeway, which is a road to paradise. This secluded vacation destination is ideal for fishing, swimming, seashell hunting, golfing, kayaking, bird watching and relaxing. Sanibel Island and Captiva Island are sisters that were split apart during a terrible hurricane in the 1920s. Sanibel is south of beautiful Captiva Island. Due to its unusual east-west placement, the island is known worldwide for the fantastic array of tropical seashells that appear on its beaches. These two islands have miles of pristine beaches, excellent bike paths and no traffic lights. 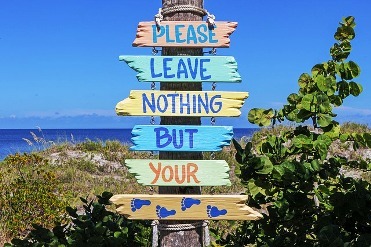 If you dream of vacationing in your own private piece of paradise, Sanibel Island is the place to search for timeshare. Marco Island is one of Florida’s largest barrier islands and home to many celebrities, including Shania Twain, country musician Alan Jackson and talk show host Robin Quivers. With a timeshare, anyone can own a piece of this beautiful island. This tropical destination offers visitors great golfing, world-class dining, and outstanding opportunities for fishing and boating. There are plenty of art galleries, comedy clubs, theme parks, and shopping outlets to satisfy every visitor. 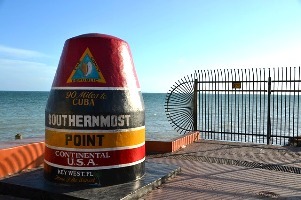 Famous for its luxurious lifestyle and designation as the southernmost island in the continental U.S., Key West attracts visitors year round. While it might be hard to find an affordable hotel or an accessible condo, luxurious timeshare units are available across this beautiful island. Therefore, purchasing a timeshare unit on Key West could be the easiest way to claim a piece of this outstanding destination. Visitors enjoy snorkeling, romantic sunset boat tours, theatrical events, water sports and all types of activities on land and offshore. Each of these destinations has its own attractions and appeal. Key West is exclusive, Orlando is family-friendly and Florida’s barrier islands are private and pristine. Florida has something for everyone, and timeshares are a great way to experience it all.